The contemporary corporate world relies immensely on modern technologies. 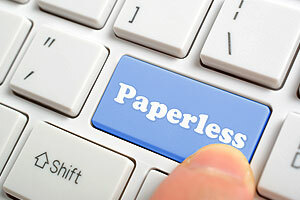 However while most companies have whole heartedly adopted computers, smartphones and software solutions, many neglect the employment of document scanning services. Why? Read on for our thoughts on why business owners shy away from document scanning services, and why they should change their attitudes, ASAP! The reality is that manually filing and processing documents actually takes up far more time than digitalised solutions. This means that businesses are forced to pay someone to input all information by hand. Additionally, our scanning services are very cost effective and don’t cost as much as many business owners think. Some business owners are under the impression that document scanning services will simply complicate the process and chew up valuable time. In actual fact, document scanning seriously fast-tracks the entire admin process, from start to finish. This leaves employees free to focus on growing the business and boosting bottom lines. When you compare the footprint of an in-house document scanning station to the piles of paperwork that go hand in hand with traditional hand filing techniques, the space saving opportunities are enormous! Digital document scanning facilitates a clean and clutter free office. With a myriad of budget concerns to consider, many business owners often rule out document scanning services as an unnecessary expense. This couldn’t be further from the truth. As well as offering all staff access to important documents at their fingertips, digitalised document scanning ensures that businesses stay compliant with data retention rules and regulations. Going digital will save money in the long run. On the contrary, digitalising documents makes tracking down data a breeze. When all information is electronically stored all staff can instantaneously access any document in a matter of minutes. This eliminates the need to spend hours sifting through hard copy filed documents. Ready to make the switch to an intelligent document scanning solution? Get in touch with us today to discuss how Pearl Scan can help your business get on the digital document bandwagon. We offer tailor made solutions for clients in a myriad of sectors, including legal, HR, healthcare, education and more. Continue reading Document Scanning Myths Blog.